This powerful 8.0 amp 1/2 in. drill has the construction and performance to eliminate any other 1/2 in. 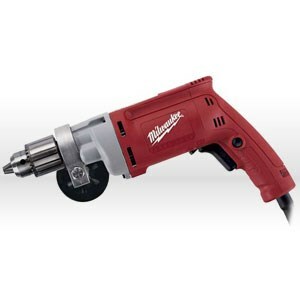 drill in its category.Features powerful 8.0 amp motor, 0 to 850 rpm, variable speed control.Heavy-duty keyed chuck.All metal gear case and diaphragm.8 ft. 3-wire rubber cord.360 degree locking side handle.Ergonomic textured grip and two finger trigger for user comfort and balance.